The Juaso police have launched a massive manhunt for a farmer alleged to have murdered another person at Sekyerekrom, a farming community near Komeso, in the Asante-Akim Municipality. 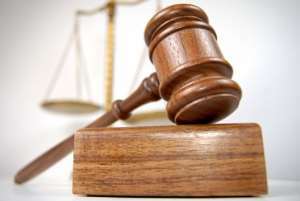 Kwaku Afriyie is said to have hit the head of the deceased with an object, during a heated argument over an undisclosed amount of missing money, leading to his death. Deputy Superintendent of Police (DSP) Andrew Anyani, the Municipal Commander, confirmed this to the Ghana News Agency (GNA) and said the suspect fled after committing the crime. The incident happened on Friday, February 16, at about 20:40 hours. The suspect reportedly accused the deceased, Kofi Amoah, a good friend of his, of having stolen his money. He profusely denied doing that and there was a heated argument between them, in the course of which, the suspect picked a metal and hit the disease hard in the head as he dropped to the ground and lost consciousness. DSP Anyani said some witnesses rushed him to the Komeso Health Centre but it was too late as he was pronounced dead on arrival. Afriyie fled the place and the Commander vowed to do everything to track him down, arrest and bring him to justice.